English Paper Piecing (EPP) is a popular and easy method of creating beautiful, hand-sewn patchwork designs. The fabric is cut and folded over a paper template and the resulting shapes are stitched together by hand, making it ideal for sewing whether you're on the move, or at home. 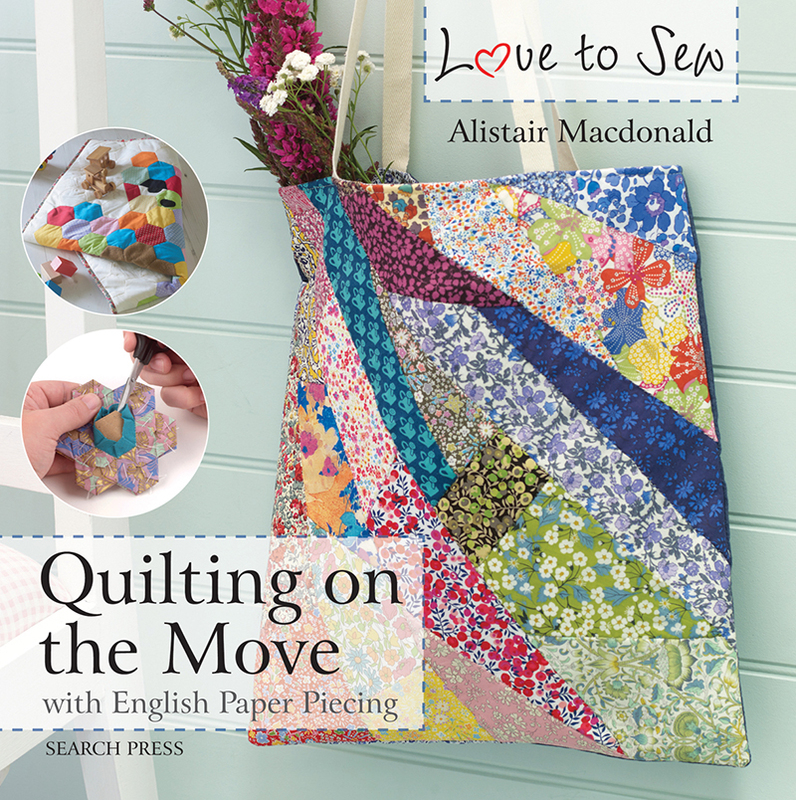 Successful and established author Alistair Macdonald provides 18 fabulous projects, including a lovely baby’s play mat, a stylish gentleman's scarf, a useful hobby bag, a tea cosy, a gorgeous tote bag and a make-up purse. All the patchwork is done by hand sewing, using the English Paper Piecing method in fresh, bright cottons and with clear, step-by-step instructions and beautiful photographs. There is some machine sewing for putting projects together, but you can hand sew if you prefer. Actual size templates for every project are included.